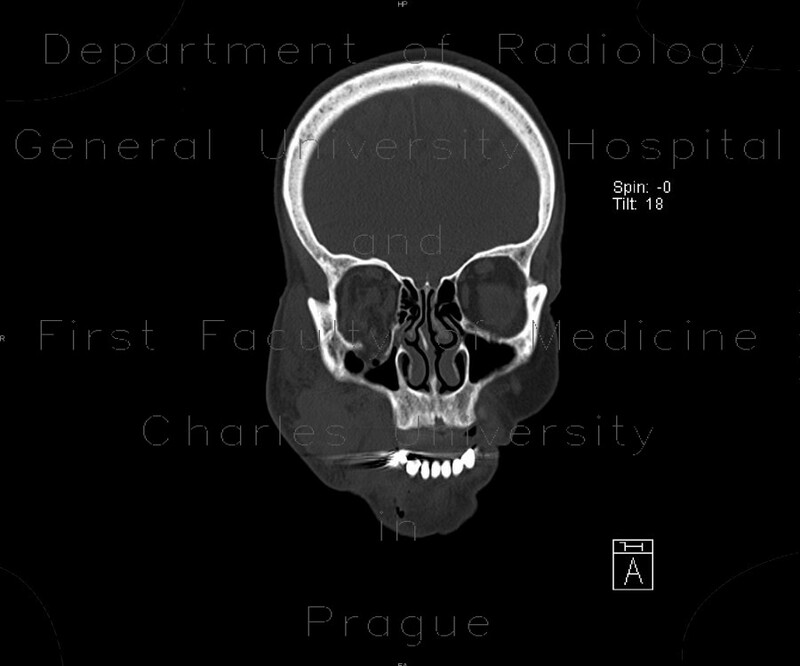 A typical appearance of the so called blow-out fracture with fracture of the floor of the orbit and herniation of fat into the right maxillary sinus. The rectus inferior muscle remains in the orbit. The right maxillary sinus is filled with blood.